This week's FSF - the latest in our series on fight scenes - is by Jess from French Toast Sunday! Check out her other posts here. There's so many typical directions to take the theme of fight scene. There's plenty of action movie fight scenes that I could praise effusively, but when I saw the prompt for this and started considering some options I was surprised that this scene came to mind so quickly. 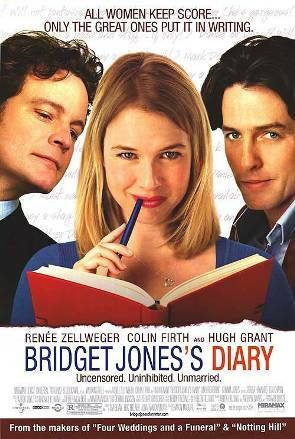 I truly adore Bridget Jones's Diary and think it's one of the best romantic comedies ever. I know that title may not hold a lot of weight with many, but it's a genre that has some gems. Bridget Jones is certainly one of them. It's got a likeable but imperfect lead, and not in the way most rom com heroines are where she just trips a lot. Bridget has some big flaws and is quite crass, but she's hilarious and relatable. The story follows her romantic misadventures, pining after her rakish boss Daniel Cleaver while the constant presence of the less charismatic Mark Darcy lingers in her periphery. 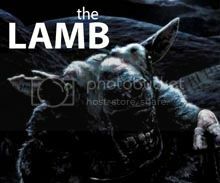 After Daniel predictably reveals his ugly side and hurts Bridget, she and Mark finally click and make a connection that proves they may actually be compatible. It might not be the most unique territory for this sort of movie, but it works really well with Renee Zellweger, Hugh Grant, and Colin Firth bringing a lot to the table. After all of Bridget's misadventures, she finally seems like she might be heading towards happiness.That's until the tension between her two love interests comes to a boil when they both end up at her house at the same time. Throughout the movie you find out they've had their own unfriendly history over another woman (because of course), and it's finally come to a head. There's just something extremely satisfying about watching two proper Englishman fist fight in the street. I'm not talking a post-football tumble between tough men who'll probably stab each other with a broken beer bottle if my stereotypes are correct, but two men in suits who have no business raising fists. They have no idea what they're doing when they're not throwing sucker punches. Grant and Firth display funny physical comedy and because it's a rom com a crowd gathers and "It's Raining Men" is the soundtrack. The fight is interrupted by a restaurant singing "Happy Birthday". It's so damn silly, but I'm such a sucker for the whole scene. What's your favorite scene from Bridget Jones's Diary? It's funny...Susie and I saw a trailer for Bridget Jones's Baby the other day and I told her I've never seen any of these. She was very shocked. This scene is pretty great...love that they all stop to sing Happy Birthday. My respect for Colin Firth has grown lately, particularly after Kingsman...maybe I should watch these. The first one at least is really worth the watch. I love the antagonism between Bridget and Mark. You like The Mindy Project, so I see no reason why you wouldn't enjoy this! I have a crush on Colin Firth so that helps too.